Although only separated from Europe by the narrow Straits of Gibraltar, beautiful Morocco boasts a unique North African identity that is unmistakeably its own. Take the train to (and through) Morocco and you can explore the medinas, mosques and marketplaces that characterise its city centres. 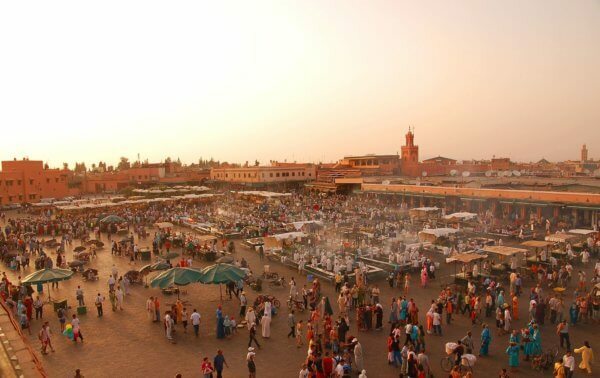 You can enjoy the aromas of Marrakesh’s spice markets and take in the beautiful coastal vistas of the Atlantic – as well as the simmering desert – as you travel from place to fantastic place. My holiday to the Verona Opera went like clockwork from start to finish – our seats were perfect and the Opera itself was a wonderful experience.